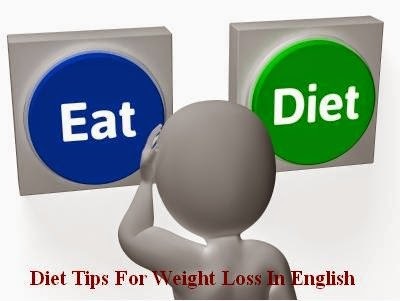 I had already written an article on Diet Tips For Weight Loss on this blog in Hindi Language. I have got many request from foreign readers to write on this topic in English language as many readers found it difficult to understand the translate version of the Hindi article. Many people do dieting to lose weight and achieve the ideal weight according to their height and age. It is seen that those people who don't eat the proper balanced diet and go on dieting for weight loss, feel weak and tiredness due to improper intake of essential nutrients and vitamins. It is not advisable to neglect the basic needs of our body to lose weight. The food that we eat, not only provides the essential nutrients to over body but also it fulfills over psychological needs. We enjoy eating with our friends and family. We also tends to eat when we are alone, sad or tense. To do the weight loss and maintain the ideal weight, one should first find out which feelings or conditions force them for undue over eating. Which of the following conditions force you to eat more ? Going to watch a movie ! Pop corns and soft drinks are must !! Its party time ! Where is the food !! How can I find low fat food at the Hotel ! Guest at home ! Time for special food !! Friends are requesting ! How can I say NO to them !! This is my favourite food ! The more I eat, The more I will enjoy !! I don't have much time ! I must finish this fast !! Everyone is enjoying the food ! Why can't I !! One cannot stop the habit of over eating until he finds out the the basic cause behind it. Pay Attention : One must give his full attention over food while eating. You should avoid watching TV, reading newspaper or too much speaking while eating food. All these bad habits tends us to over eating. Schedule your meal : Avoid eating at will ! Eating every day at a specific time helps us in weight loss and improves the digestive system. Mind Control : Whenever you feel like eating something, ask yourself, "Am I really hungry?". Learn to differentiate between hunger and desire to eat food. Eat only when you are really hungry. Most of the time we cannot control our desire to eat our favourite food even though our stomach don't need it. So, It is always better to avoid places where our favourite food is easily available. Eat slowly : The faster you eat, the more you will eat ! Normally, it takes about 20 mins to reach the signal from the stomach to the brain that you have eaten enough food and if you eat too fast in those 20 mins, you will end up eating more food than your body needs. More food means more calories and excess weight gain. So do not eat food in rush. Chew Properly : You should chew every morsel of food thoroughly at least for 20 times every time . Chewing food helps to improve the digestion. The longer you chew, the more time it will take to finish your meal and research proves that eating slowly helps you to eat less and avoid weight gain. Use Small Plates : Try using small plate to eat your meal. This will make your meal appear larger. Eating lesser food than normal helps in losing weight. Using small plate will give you a feeling of satisfaction of eating full plate food. Breakfast : Never skip your breakfast ! You can have fruits or your favourite healthy food at breakfast. Research shows that those people who always take breakfast have good control over their hunger and avoids emotional over eating. There is a general saying, " Eat breakfast like a king, lunch like a prince and dinner like a pauper!". Water : Increase your daily water intake. Thirst can also be confused with hunger, so by drinking enough water you can avoid extra calories. Drinking water before meal helps you in eating less food. Water is essential for hydration and proper metabolism in body. Fiber : Eat more high fiber diet. They are higher in volume and take longer time to digest. Fibrous diet includes fruits, vegetables, beans, whole grain etc. Always try to eat fresh fruits and vegetables. One should think of life style change than short term diet. Use non-stick cookware to cook food. Try eating only fruits at dinner twice a week. Use low fat cooking technique like boiling etc. Keep the tempting foods and snacks out of your sight. Instead of eating high-calorie snacks, try eating fruits. To lose weight successfully and maintain the ideal weight, one should focus on taking a proper nutritious balanced diet containing all the important nutrients and vitamins. A diet which does not include any favourite food won't work in long run. So instead of denying the unhealthy favourite food, simply eat them less often. Weight loss should be done step by step with setting short terms goal to keep one motivated. You are right Mr Rahul. One should take a proper balanced diet and focus on quality of food rather than quantity of food to lose weight. 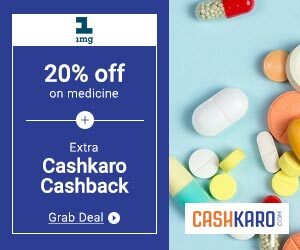 I read your post carefully.This is a excellent article and must be it will so helpful for every fat guys if they want to loss weight. Indeed a great post.This can really help obese people to loose weight.